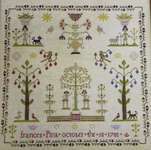 An attractive historical sampler of the Garden of Eden with all the birds and animals in silhouette. 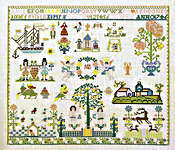 The kit has large scale black and white charts printed 10 stitches to approximately 2 centimetres on four A3 sheets. 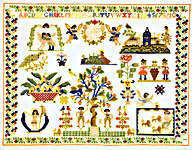 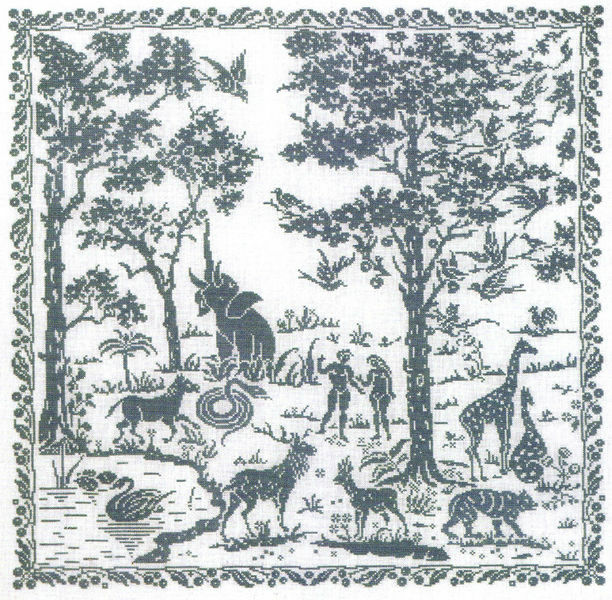 The pattern is worked in whole cross stitch only using dark blue-green stranded cotton on a stitch count of 310 by 320.